During this half day trip we will go to the heart of the Moravian Karst located only 30 min driving from Brno. The Moravian Karst, with 1100 caverns and gorges, is the most significant karst area in the Czech Republic. The Amatérska Cave is the largest cave system in the Czech republic. 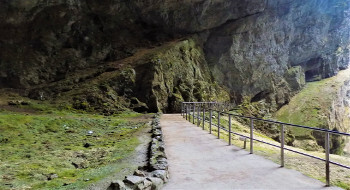 There are 5 open caves to the public and we will visit the most popular Punkevní Cave. The tour of the cave takes us to the bottom of the Macocha Abyss at a depth of 138m and we will cruise the underground river of Punkva. 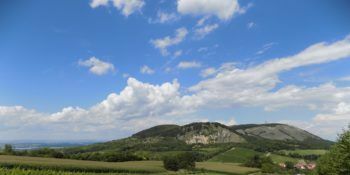 Pálava Hills, part of Pálava Protected Landscape Area, is 20 km long limestone ridge stretching to the very south of Moravia from the crook of Dyje river around Mikulov town to the state border with Austria. The area is continuously inhabited for tens of thousands of years according to archaelogical finds like famous Venus of Dolní Věstonice. On the territory of Pálava Hills are several nature reserves that protect valuable local areas. On the trail we will see ruins of 2 castles and we will reach the highest point of hills the Děvín. For more information please read my blog.